Entrepreneurial Spirit in Zurich! 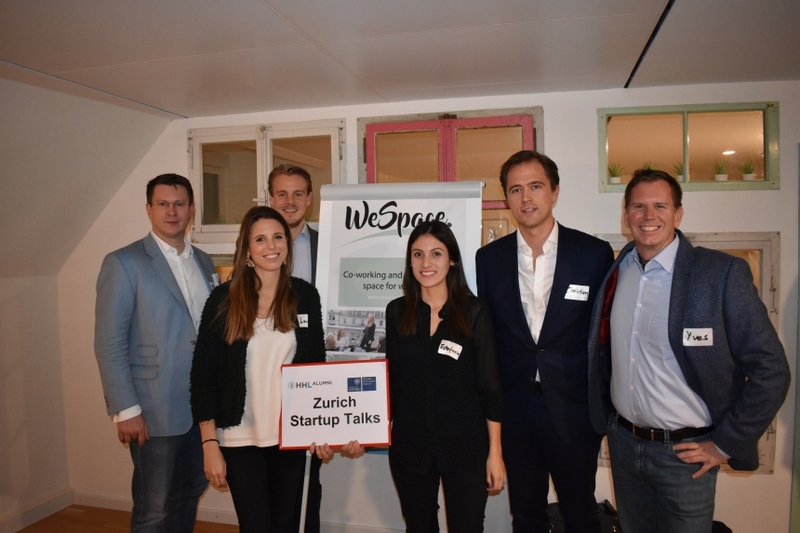 The 2nd Zurich Startup Talk hosted by WeSpace was a great opportunity to get interesting insights about female entrepreneurship in Switzerland. Many thanks to the founders Dr. Laura Seifert and Dr. Estefanía Tapias for sharing your entrepreneurial story with us. The evening perfectly expressed two fundamentals at HHL Leipzig Graduate School of Management: Entrepreneurship and Women@HHL. Greatly supported by HHL Alumni and Zurich Chapter Heads Hanns-Christian Ehret and Philip Dubnitzki!